You marched, you called, you canvassed, and now we have a new, blue Congress! Join us on the first day of the legislative session to rally for a strong H.R. 1, the bill that will protect our democratic norms, hold officials in all branches of government accountable for corruption, get money out of politics, and expand voting rights and access. On Thursday, January 3rd, at noon, we’ll be rallying outside Rep. Garamendi’s office to wish him well in the new congress, and to ask that he fight for a strong H.R. 1 that protects and expands voting rights, accountability, and transparency. In order to achieve our other priorities, we need a democracy where everyone can vote and have their votes counted, where corrupt officials will be held accountable, and where money doesn’t equal speech. Join us in demanding those protections by supporting H.R. 1. Bring your self, your friends, and a warm jacket. Bring your concerns for the next congress, and the issues you want them to tackle – whether it’s a Green New Deal, or Medicare for All. 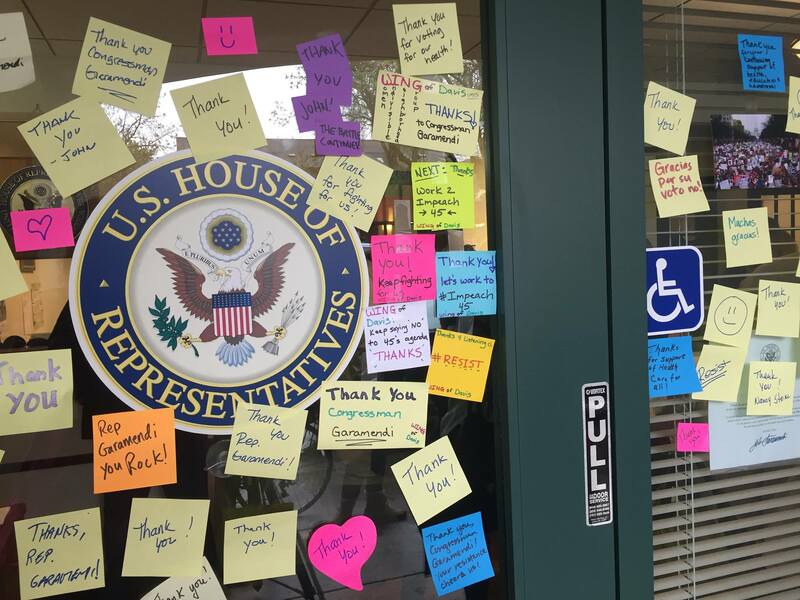 Write it on a post-it note, or write one when you arrive, and deliver it directly to Garamendi’s staff. Please let us know if you can bring snacks or warm beverages. This is a kid-friendly event.